Non profit Web design has a different focus than a typical for profit website design. Generally the emphasis is on donations, community engagement and the solicitation of volunteers. Not only are these calls to action different, but the management of the site needs to be extremely simple as the high turnover in staff necessitate that the learning curve for any of the website administration tasks needs to be easy. Take a look at the non profit websites built by BANG! to see some of the unique solutions, creative designs and ease of use come together as a successful non profit website. Probably the "cutest" website design we've done. This Arizona not-for-profit came to us when managing their existing website became a challenge. We responded with a clean and simple site that was easy to manage through our Content Management System. Adding and editing pages in the site became point and click simple for them. Of course when questions did arise our support department was quick with help and solutions. 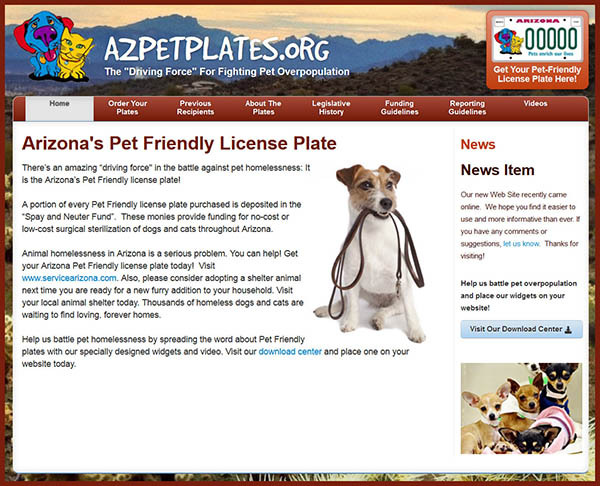 Primary goal for this website is driving traffic to the Service Arizona Website allowing pet lovers across the state to order their pet plate, helping fund the statewide spay and nueter program. The Paradise Valley United Parent Council came to us with a familiar question. "Can you build us a website that doesn't require Dreamweaver and a website design professional to manage the site?" Our answer was "of course!". Having built website for not-for-profits since the mid 90's, we've long felt our responsibility is to empower our clients with ability to make updates to their own sites, easily, and at their convenience. 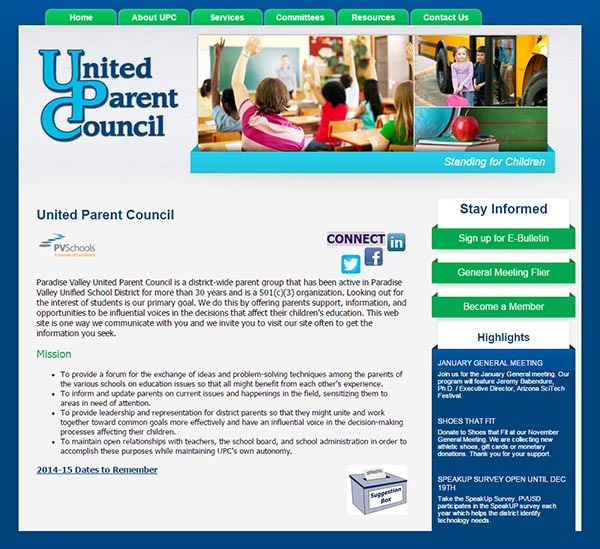 For this site, that means meeting minutes, board announcements, and other school news that parents need to hear. 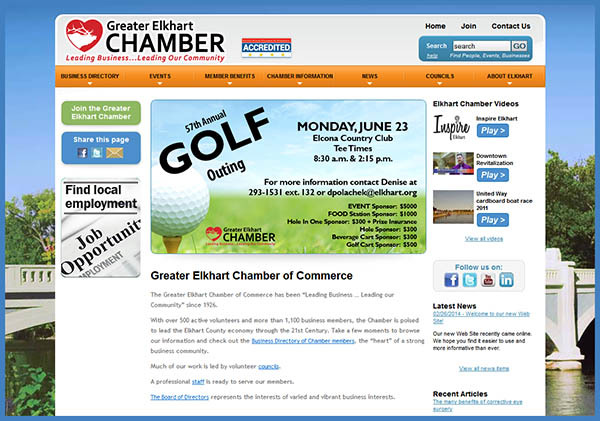 The Greater Elkhart Chamber of Commerce is an interesting success story for BANG!. We built their 2nd website and now their 4th. Between those two they were lured away by the "Green Grasses" of open source. Unfortunately those open source solutions didn't meet their needs and they went through a couple years of frustration before returning to the custom web design solutions provided by BANG! If your existing website builder isn't meeting your needs, reach out to us. We'll provide a free consultation to determine your needs, expectations, and provide a written estimate with our non profit website design solution. Non Profit Website Design by BANG! – Contact Us today.